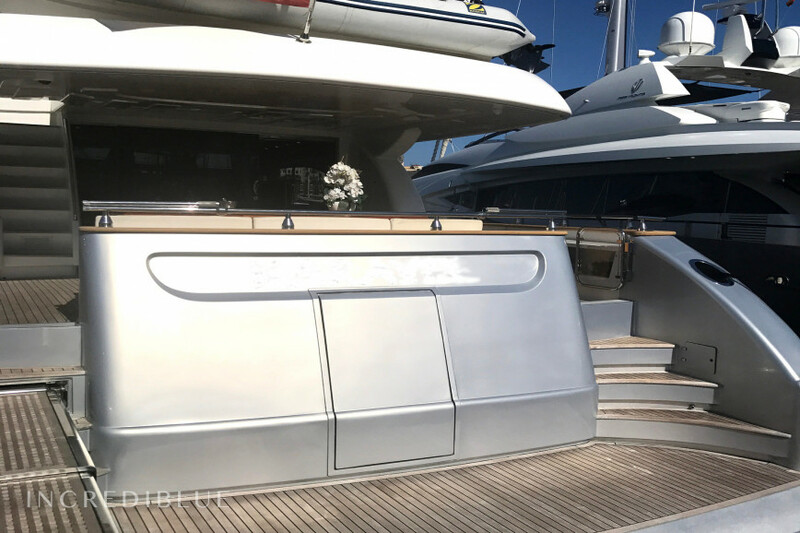 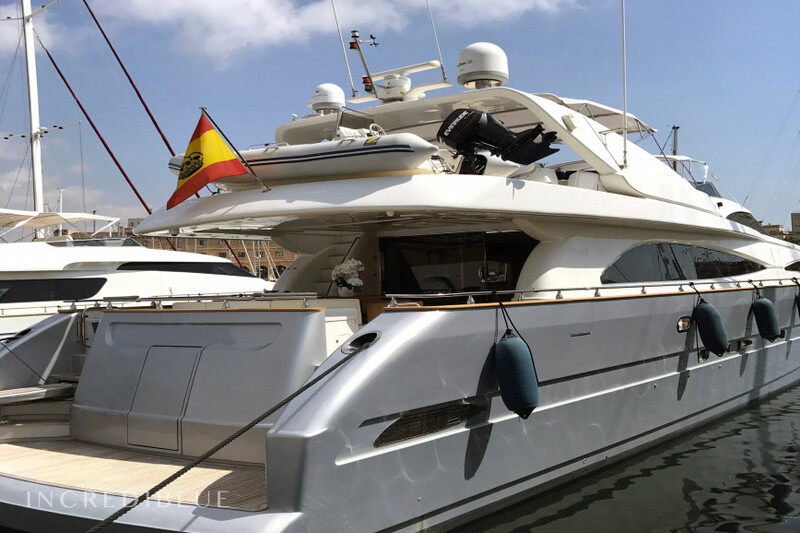 Exclusive yacht built by the famous Spanish shipyard Astondoa in 2001, which underwent a complete remodeling in 2006 and partial remodeling in 2016/2017. 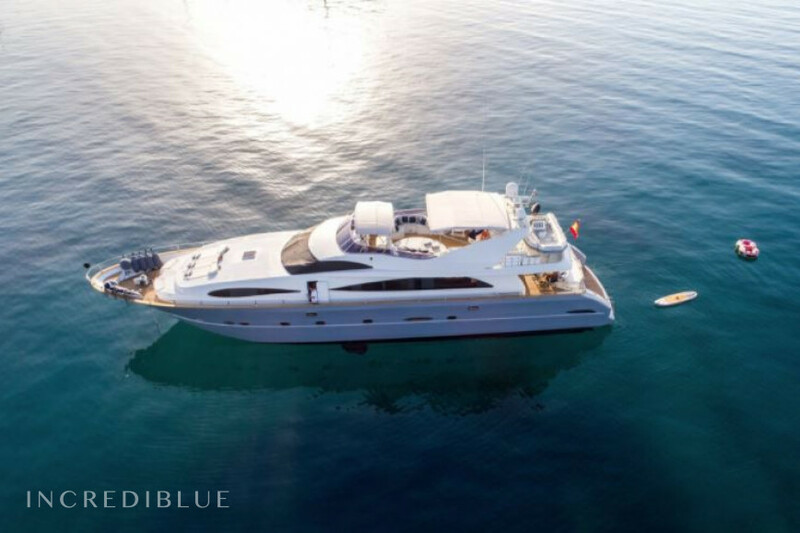 Its elegant, freshly painted, blue helmet enhances its design. 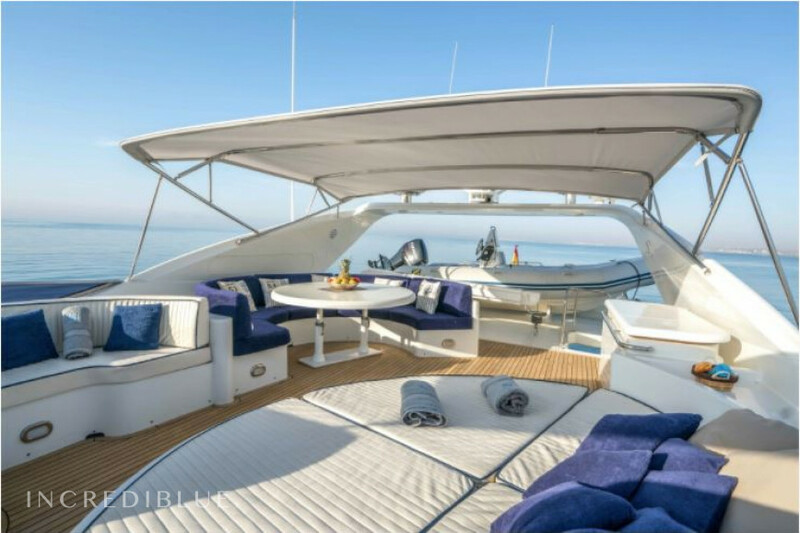 Its total length is about 30 meters and is powered by 3 engines of 1,300CV each allowing a cruising speed of more than 20 knots and a maximum speed of 24/25 knots. 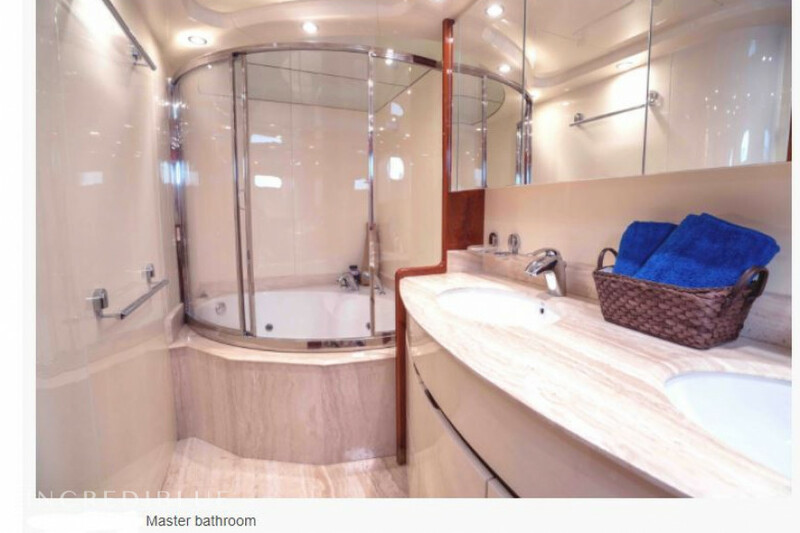 All floors and paint were renovated in 2006, as well as the installation of zero track 300 stabilizers in 2012. 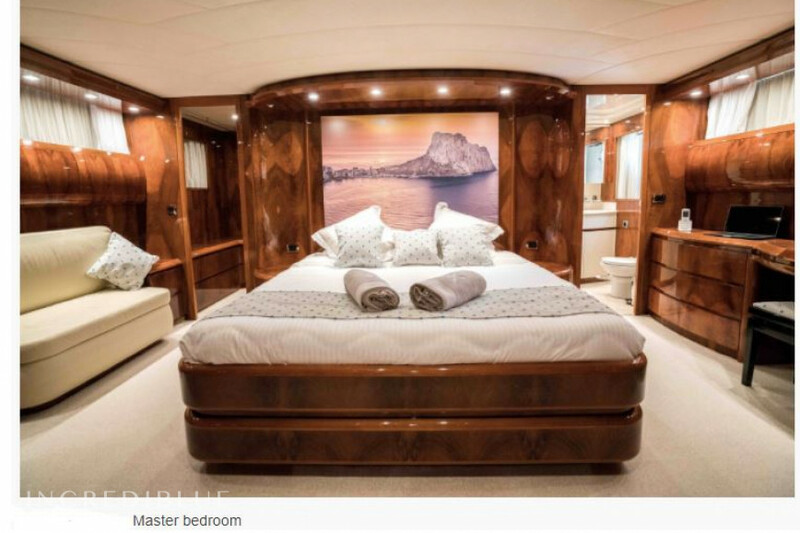 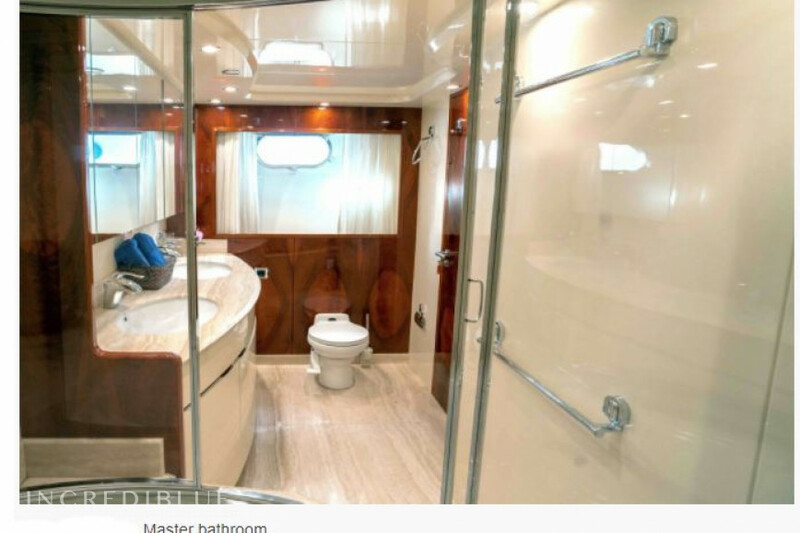 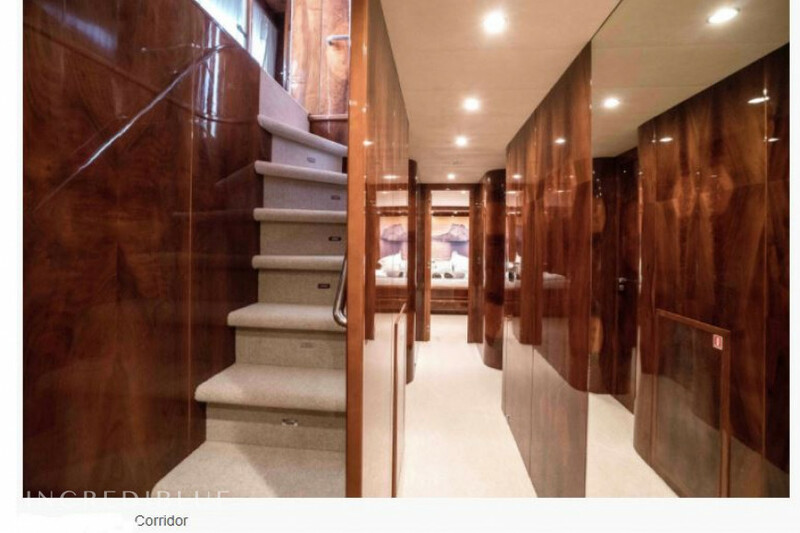 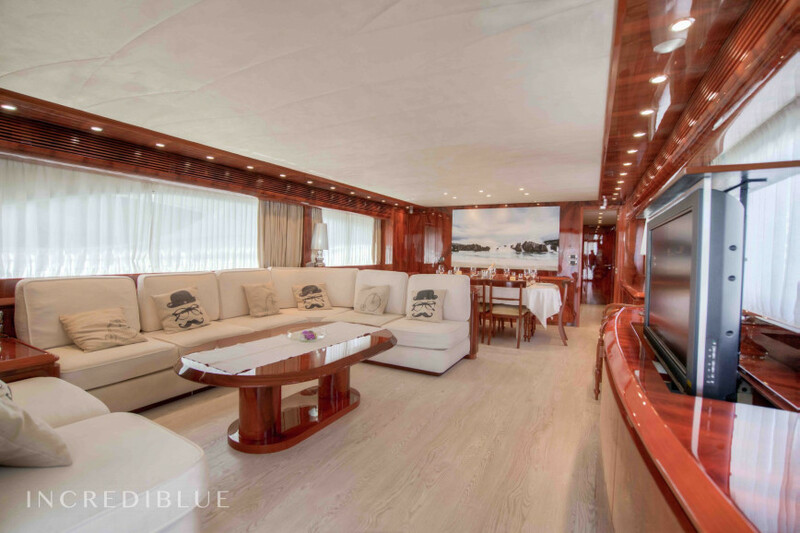 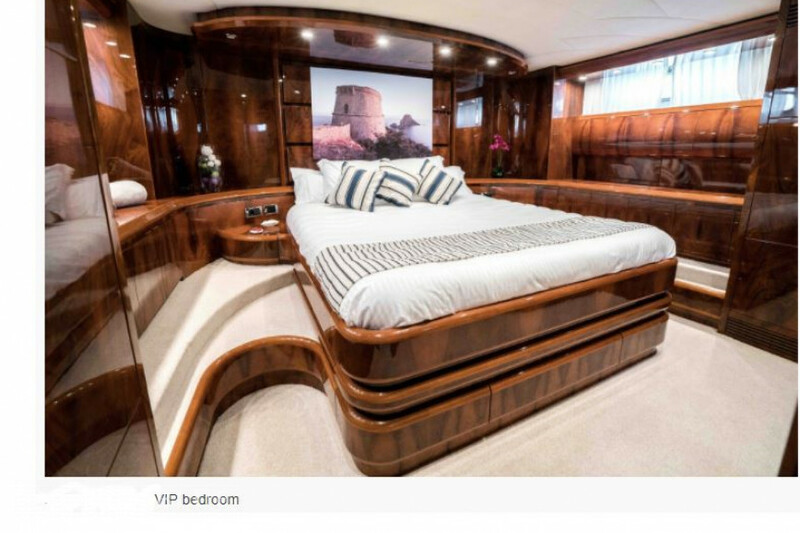 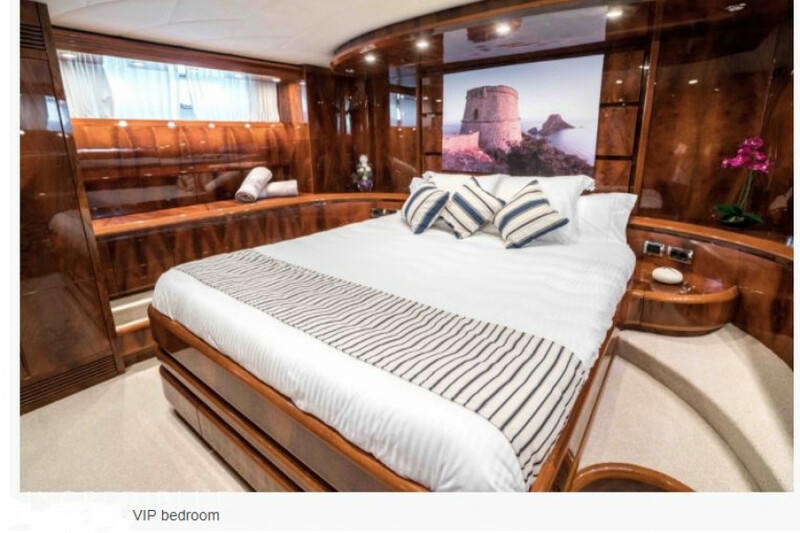 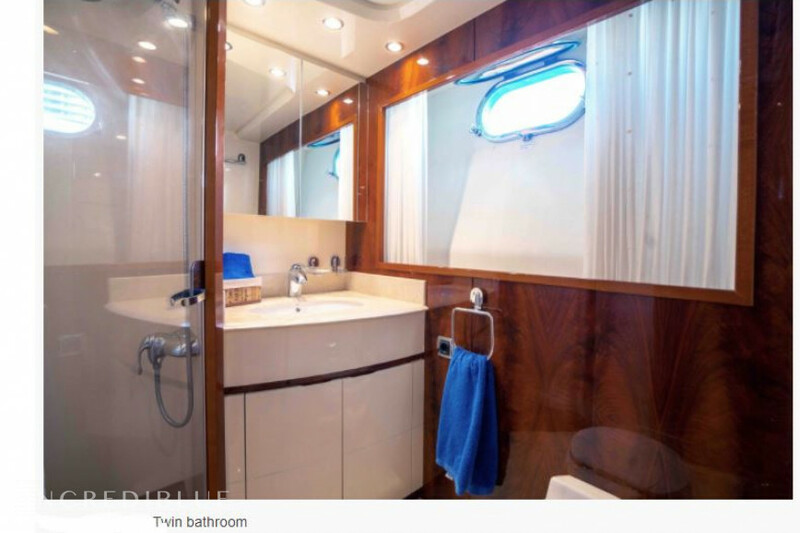 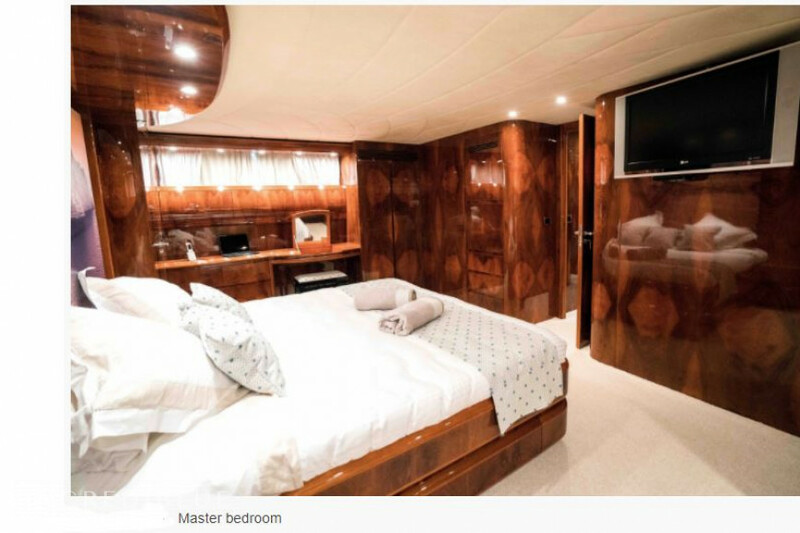 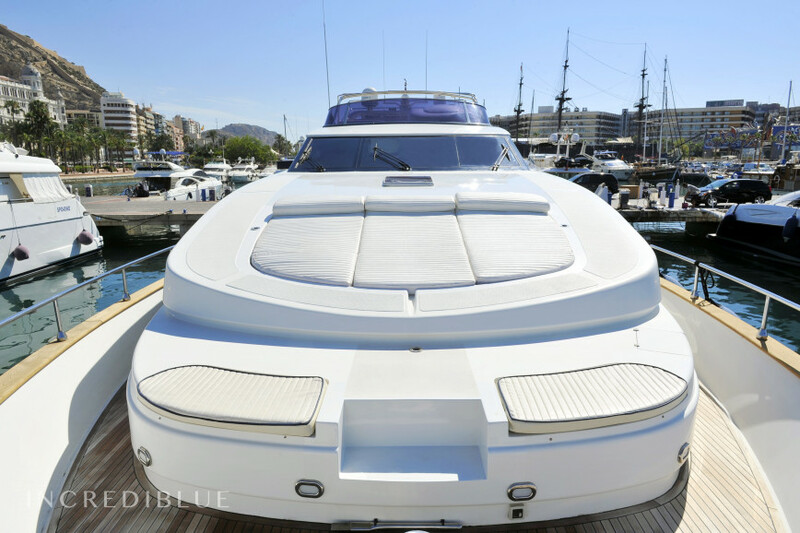 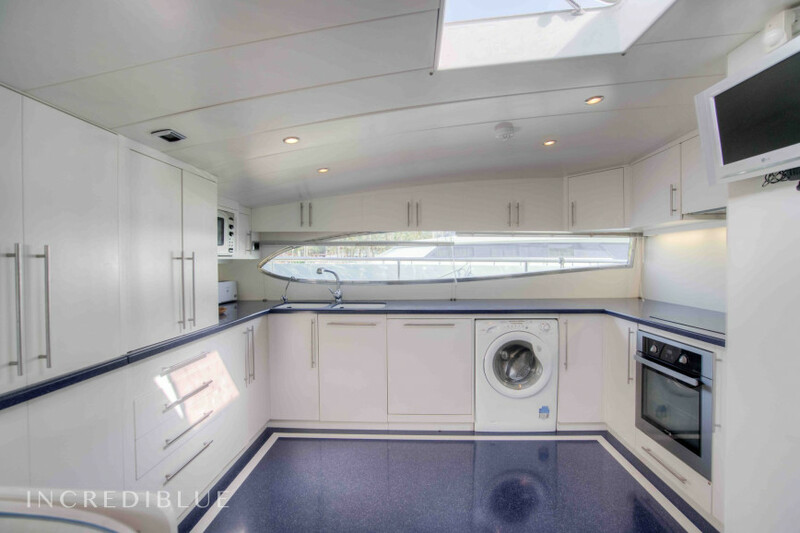 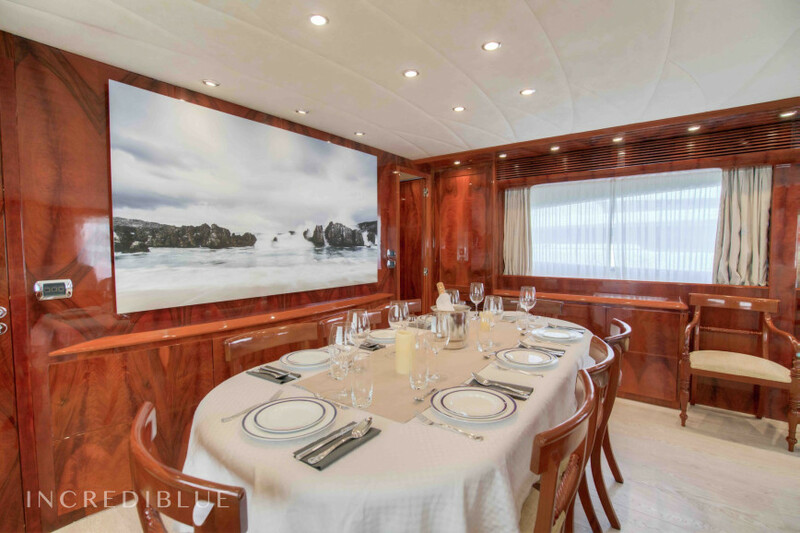 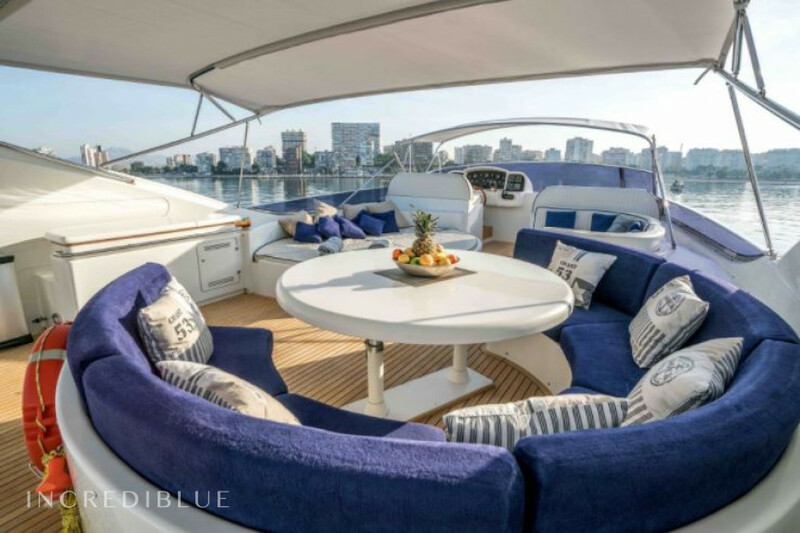 This yacht has a large interior space with capacity to accommodate up to 10 people, 2 dining rooms and a very large lounge. 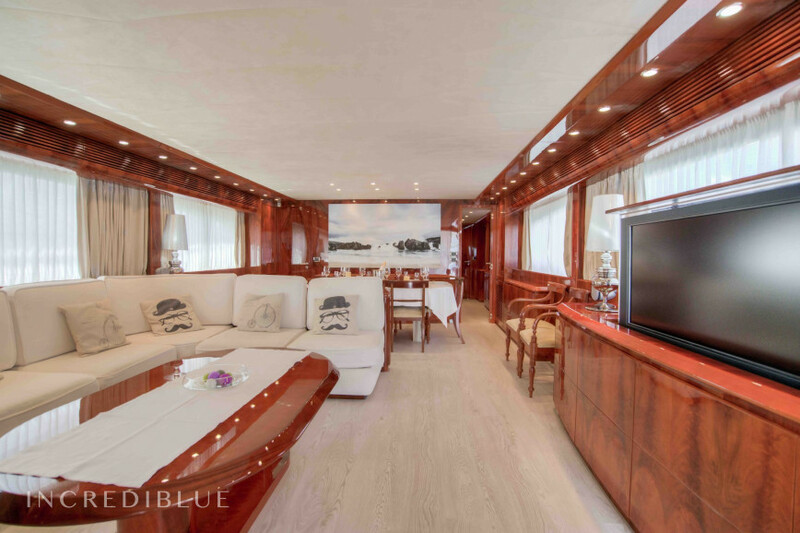 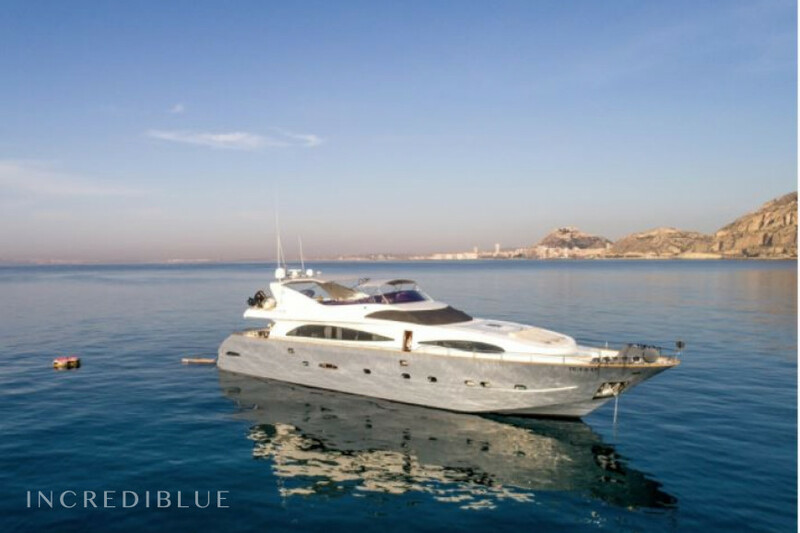 The space offered is undoubtedly the same as in a 35m yacht as well as its extensive equipment list. 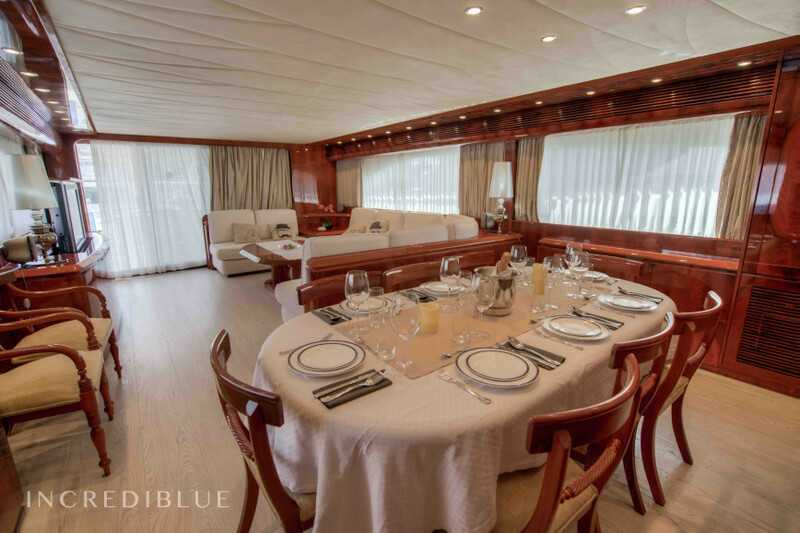 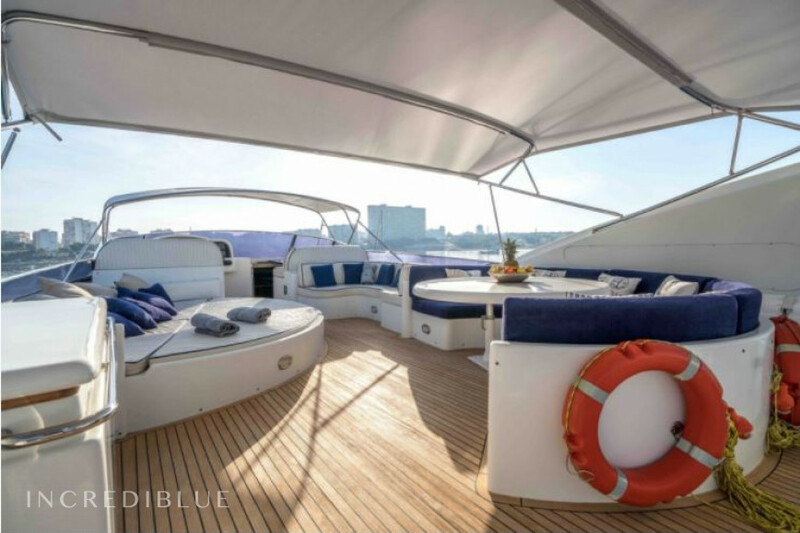 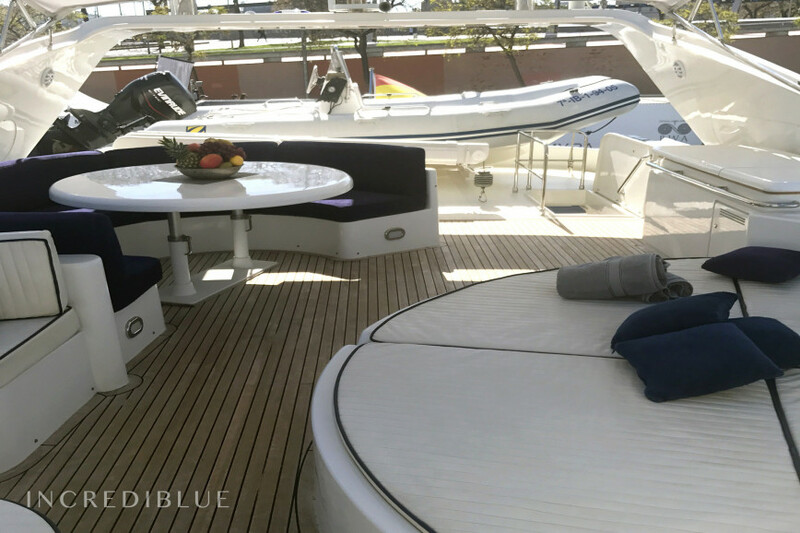 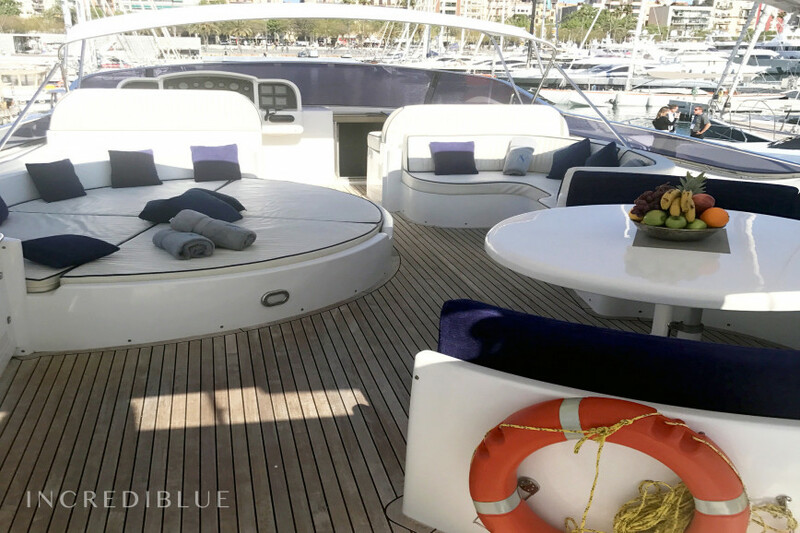 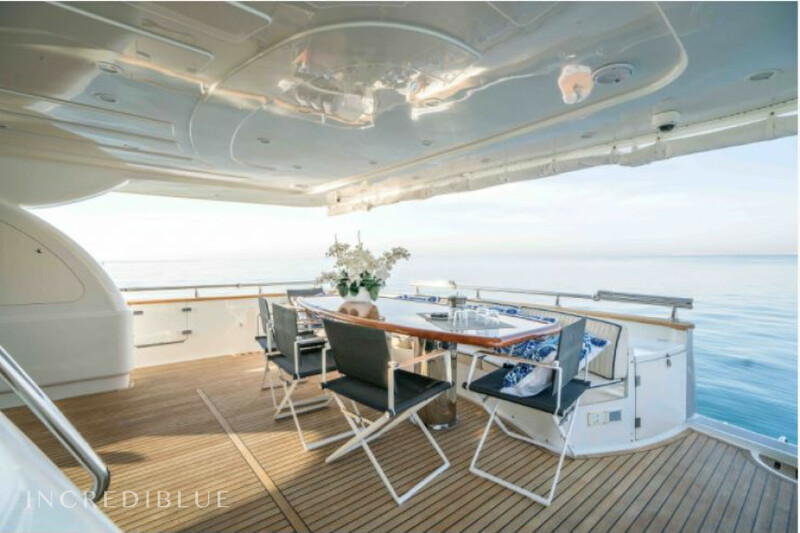 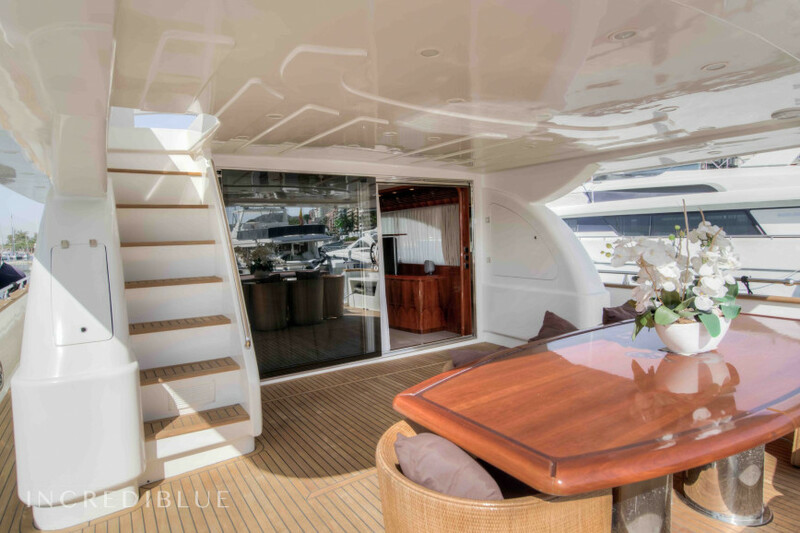 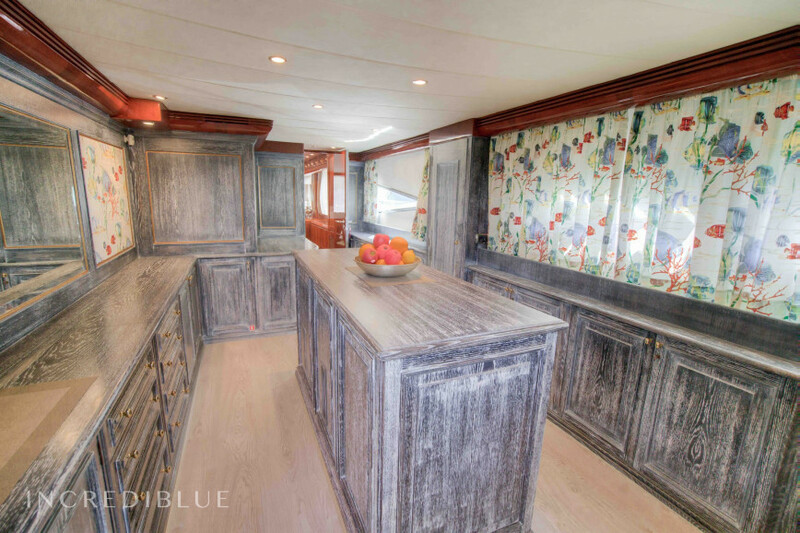 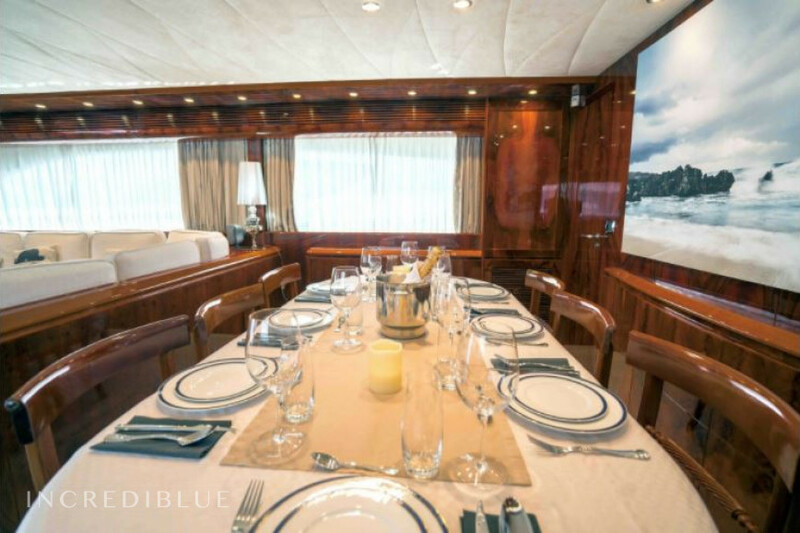 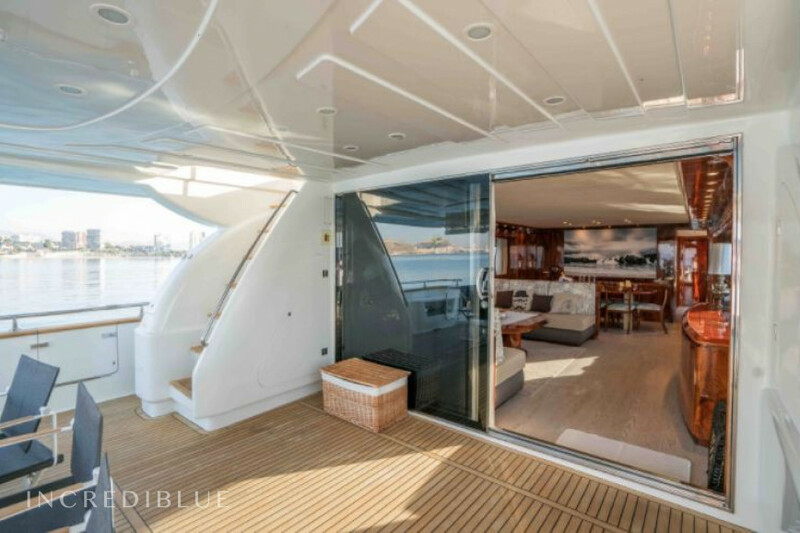 The flybridge is one of the best areas thanks to its large solarium, dining table and bar with an exceptional barbecue. 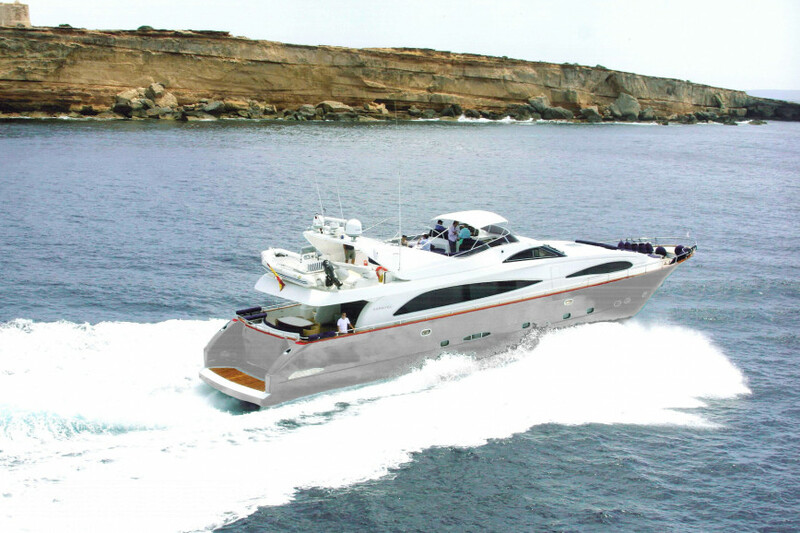 This is one of the best yachts of its kind to make you feel like you are on a much longer yacht. 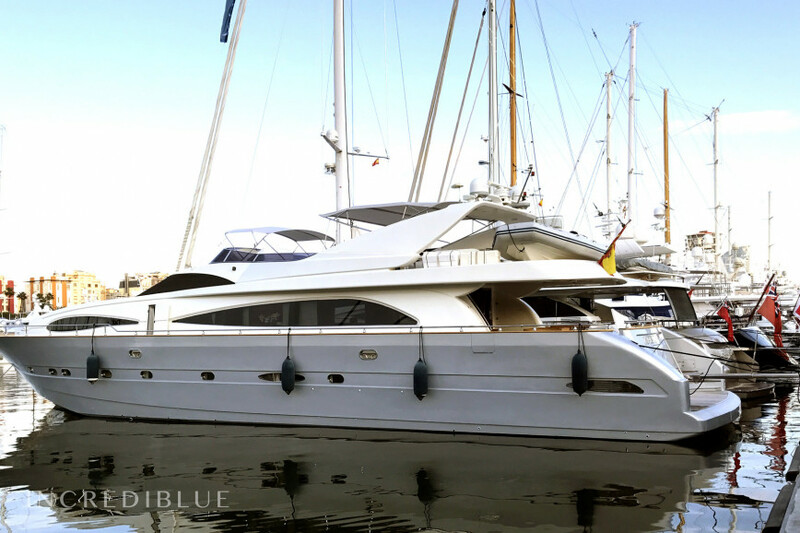 One of the best options for people looking to rent a luxury yacht in Ibiza, Formentera or Mallorca. 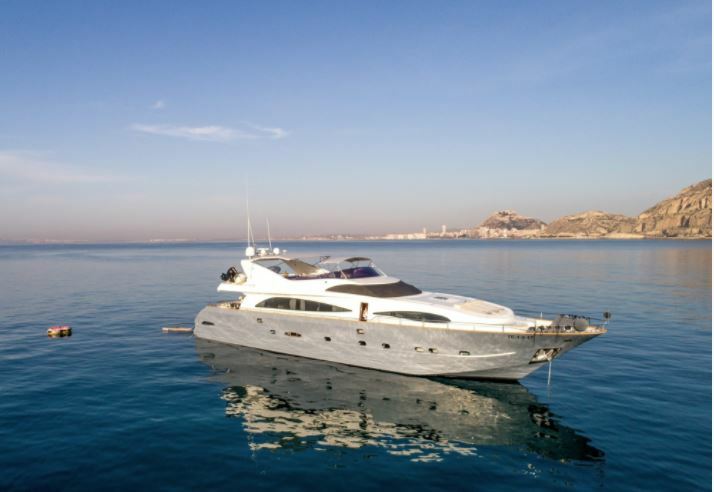 * It has a charter license in Spain and a very good charter record. 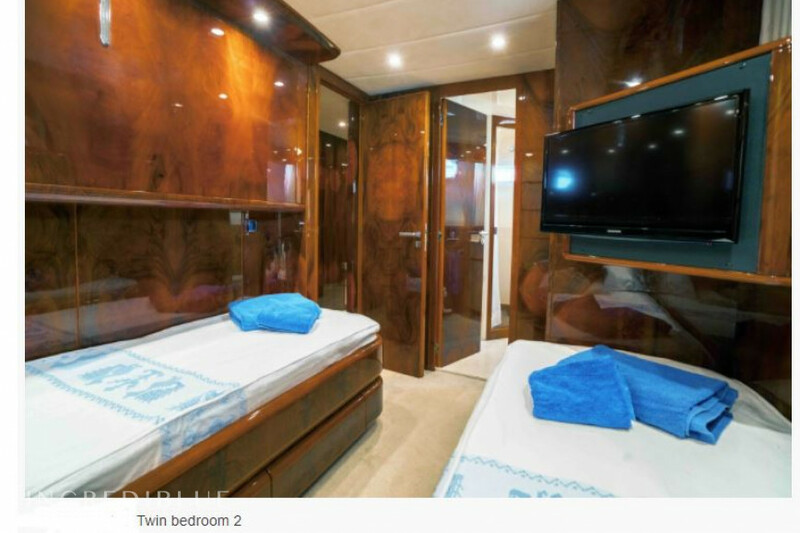 - Master cabin: double bed, TV, HiFi, full bathroom with Jacuzzi, safe, dressing room and air conditioning / heating. 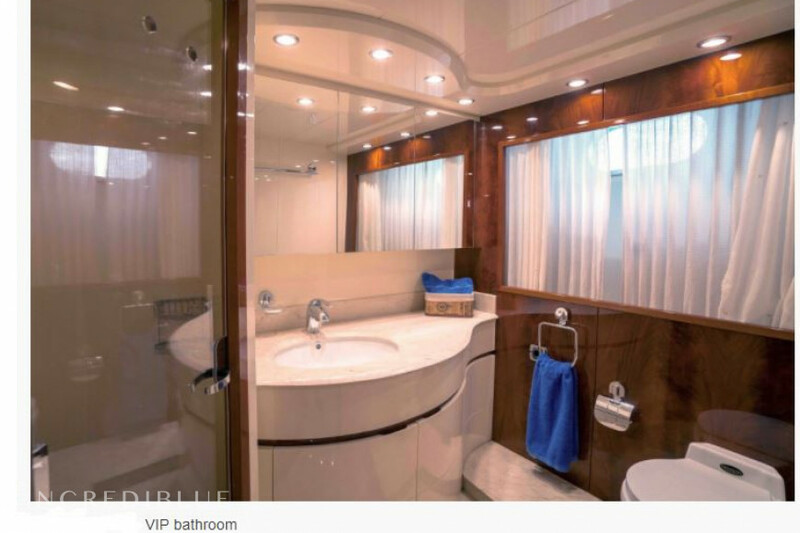 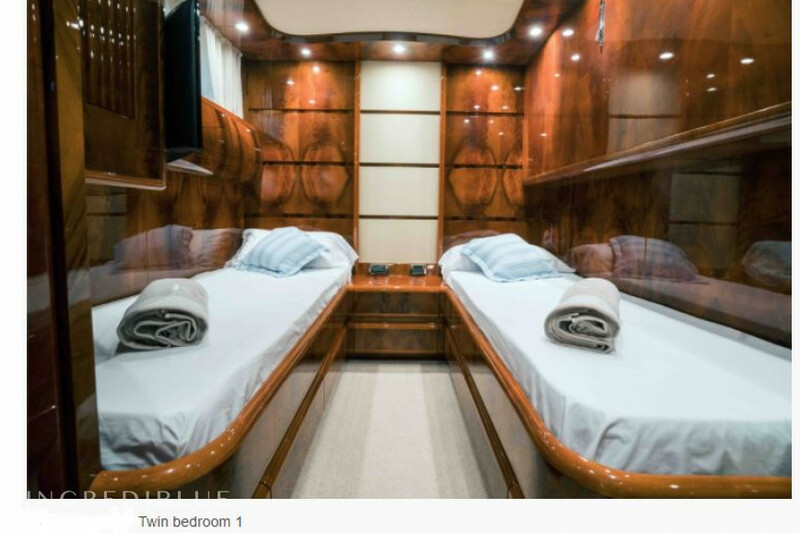 - VIP cabin: double bed, TV, HiFi, full bathroom, safe, dressing room and air conditioning / heating.